We give our take on the DIY beauty trends that are sweeping the web! 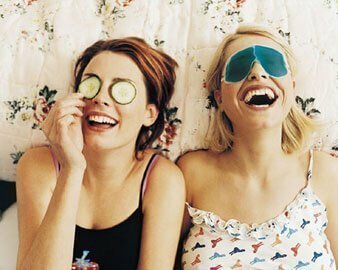 If you’re a social media regular, then you’ve probably seen one of the many DIY beauty tips that have gone viral. Everyone wants to know if they can save money and still look beautiful! We love it when new tricks and tips comes into the beauty industry. It helps keep our exciting industry even more vibrant and it gets everyone talking and trying new things! But some of these new tips are not only downright bizarre, they can actually be extremely dangerous for your skin. Nevertheless, these quick fixes are interesting for us to watch when we’ve got a little time on our hands, so we thought we’d explore a selection of these bizarre trends ourselves, and let you know why you shouldn’t part with the contents of your bathroom cabinets and make-up bags just yet! Washing-up liquid is fantastic for removing grease… from dishes! Sadly, our skin isn’t as robust as a porcelain plate. Just think about when you have finished washing up a load of dishes. Your hands feel dry and look about 10 years older. This is because washing-up liquids often contain harsh chemicals that will strip the skin of all the natural oil needed to keep it healthy. Definitely not what you want for your face! This is why we developed products such as Deep Cleanse Gel which dissolves only excess grease and keeps your skin moisturised and soft. Yes, we’ve all been there… Even your author is guilty of this one! Toothpaste can actually help, due to its anti-bacterial properties, and it can also absorb oil. However, toothpaste is designed to treat hard surface of your tooth enamel. Skin is very delicate in comparison, so use of toothpaste can result in dry and sensitive patches, making blemishes worse. There are many spot tackling creams available on the market which have been designed to specifically treat skin. We really don’t recommend this one. Alcohol is a disinfectant and therefore can help clear bacteria on the skin and also remove excess sebum. The only issue is that pure alcohol is very strong and can therefore cause skin irritation; leading to sore and peeling skin. We certainly don’t want this in our quest for eternal youth! We created our Revitalising Tonic as a gentle, alcohol-free toner that refreshes skin, whilst enhancing elasticity. It’s specifically formulated for use as a skin toner and not a beverage or industrial cleaning agent. This has actually been around for a while, but has come back into fashion thanks to some high profile beauty bloggers! In a recent video, a blogger showed that PVA Glue could be used to remove blackheads. Sounds a like a quick fix? Think again! The properties of glue, even the non-toxic variety mean that it can lead to horrific allergic reactions on the skin and clog up pores – kind of defeats the object, right? There is also the risk in getting glue in your eyes. During our development, we always put our products through a wide range of toxity tests to make sure that they are safe and suitable for human skin. Unfortunately, glue manufacturers don’t test theirs for beauty regimes! 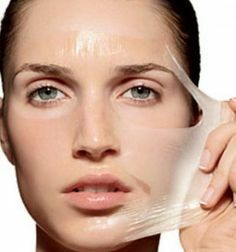 Our advice is to stick to a proper peel-off face mask like 10 Minute Glow. First and foremost, yes – a steam can do wonders for your skin! Steam can hydrate the skin, whilst causing oxygen to rush to your face and increasing circulation. This gives the skin a rosy and dewy appearance. However, our advice is to be careful, use slightly cooler water to avoid burning the face, dehydrating your skin, leaving it dry and irritated and causing broken capillaries. This is something that we certainly don’t like at Crystal Clear! Also be sure to splash your face with cold water afterwards to close up pores and cool the skin down. There are so many new and old DIY beauty tips circulating the web at the moment, so we’re always keeping our eye out! Whilst we can’t promise any tutorials on using superglue to combat acne, we have a number of tutorials over on our YouTube channel which we think are great!